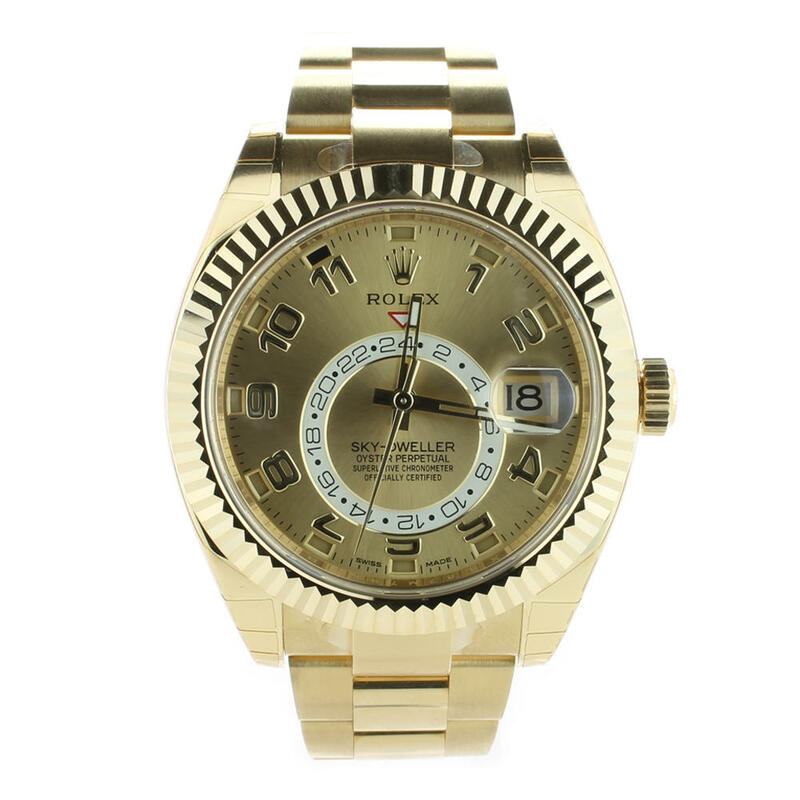 This authentic Rolex Sky-Dweller comes complete with box, papers and warranty. 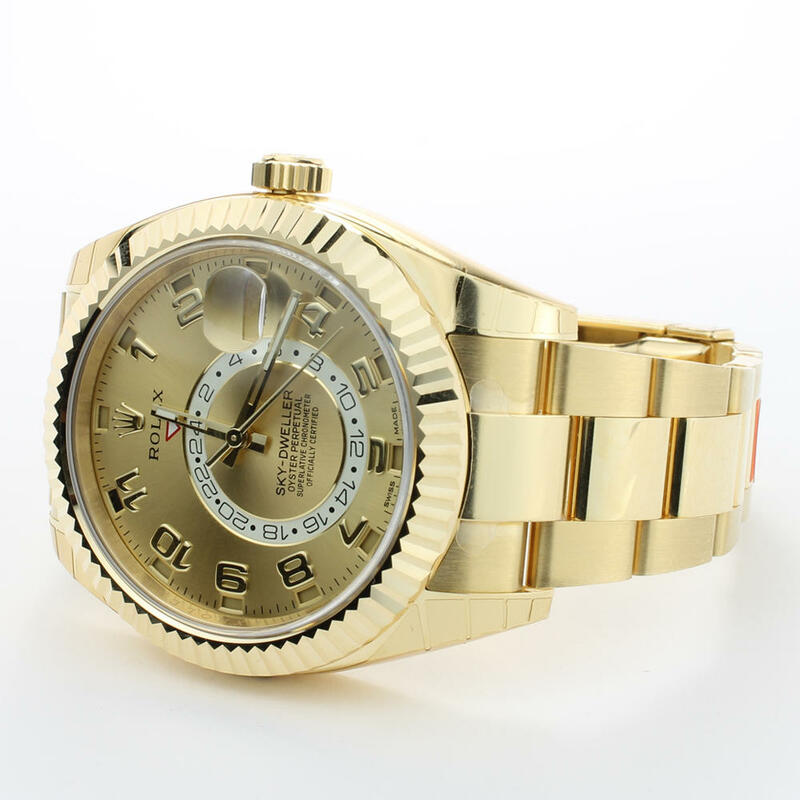 This Rolex timepiece usually retails for £33,950, huge saving! A distinctive technological masterpiece protected by 14 patents, the Rolex Sky-Dweller provides the information global travellers need to keep track of time at a glance. Launched in 2012, the Sky-Dweller is a compelling timepiece of revolutionary design that blends to perfection mechanical sophistication and ease of use. All unworn and pre-owned watches go through a thorough inspection by our highly experienced, fully trained watch repairers who examine all watches prior to sale. All watches are referenced by the manufacturers watch model number to ensure authenticity. This Rolex Sky-Dweller watch comes with box, papers and warranty. Why buy from Bouchon Watches? Bouchon Watches © 2018. All Rights Reserved.